352 pages | 50 B/W Illus. Pharmacogenetics is becoming increasingly relevant in the diagnosis, treatment, and recovery of cancer patients. A major problem facing oncologists is the outstanding varied efficacy of treatment. 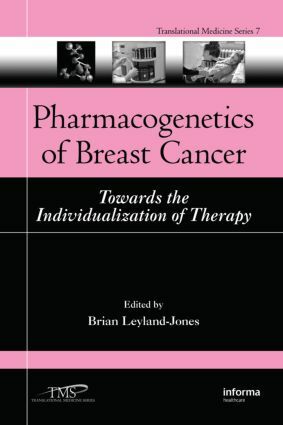 Promising advances in pharmacogenetics have allowed the development of effective agents which will enable personalized cancer chemotherapy to become routine for the clinical practice.